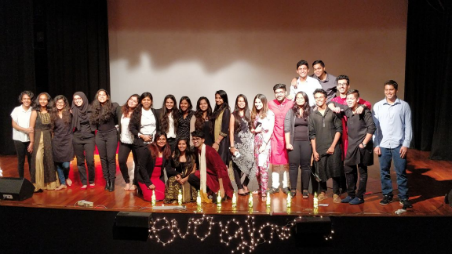 Mumbai: Oberoi International School, one of the leading schools in the country, hosted the fourth edition of [email protected] in presence of a range of speakers from diverse backgrounds. The entire event was designed around its unique theme – ‘Everglow’, which aimed at inspiring the young students to become “change makers”. The event was organized by a set of 11th & 12th graders from Oberoi International School who strategized, managed and led the event into becoming a success. The Committee comprised of Accounts & Sponsorships, Speakers & Communications, Publicity & Registrations, Design & Tech, and Logistics teams. The speakers, all coming from different lifestyles, age groups, social classes, and upbringings, came together to give talks that featured ideas that inspired and sparked discussions on social topics that needed to be addressed (such as ‘Curing Autism’ and ‘Pursuing Happiness, a Fundamental Right’). All inspirational speakers, who shared their insights and experiences on these interesting topics, left the audience thoughtful every time they left the stage. “It was a wonderful experience being at [email protected] today. It was encouraging to see young minds bustling with new energy and ideas! Platforms like these will certainly help channelize the enthusiasm of these youngsters in the right direction. Kudos to Oberoi International School for this wonderful initiative,” another speaker, Pooja Chaudhari, Executive Director, Concept PR, was quoted as saying. Yash Vaid (DJ) – Is musical vocation an unconventional path? Pooja Chaudhari (Executive Director – Concept) – Can we succeed without social media communication? Sachi Maniar (Social Entrepreneur) – Should juvenile criminal justice system focus on rehabilitation or punishment? In the spirit of TED’s mission, “ideas worth spreading,” the TEDx program helps communities, organizations and individuals produce TED-style events at the local level. TEDx events are planned and coordinated independently, on a community-by-community basis, under a free license from TED. OIS passionately believes in the ‘Power of Ideas’, to change Attitudes, Lives and the World and supports student-led initiatives to the fore in order to inspire them to change and innovate.